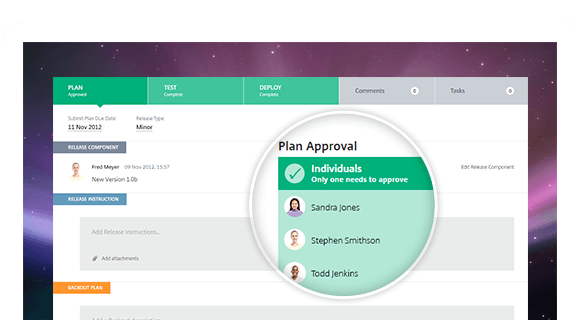 Shorten your release cycle with Service Desk. The process of implementing changes to your services is clearly defined, so there’s less confusion and more agility for technicians and stakeholders alike. This means you can get releases out the door much quicker. There are three phases to release management in Service Desk: planning, testing and deploying. In the first, you can outline the instructions, prepare a backout plan and get approval. Next, your QA testers can detail the steps they took and identify issues that might affect the release. Finally, you can record when the deployment was made and whether it was successful. Because testing is built into the Service Desk workflow, you can address any release issues before they become a real problem. Pinpoint the root causes, document the solutions and inform the stakeholders. This type of preventative action goes a long way toward mitigating release failures. You can link every record in Service Desk to customers, configuration components and other items, so related information is always close at hand. 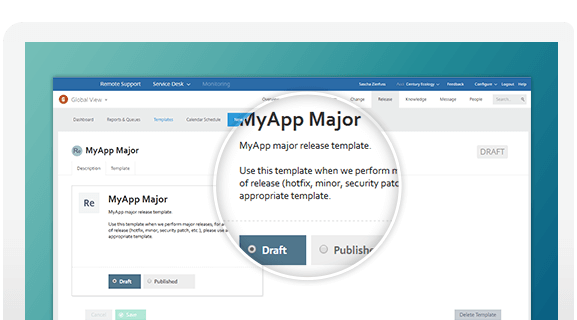 For releases, it’s helpful to link changes that are included in the deployment. Then when you finish the release, you can close all the associated changes easily and quickly.